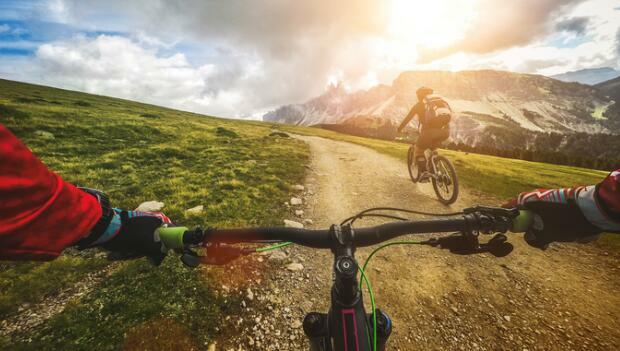 If you're looking to buy a new mountain bike or modify an existing one, you need to know which gearing best suits your style of riding. Your choice will have a direct effect on how you and your bike perform. Two common choices among mountain bike riders are the 1x11 and the 2x10. The one or two refers to the number of chainrings on the front of the drivetrain, while the second number (10 or 11) refers to the number of cogs on the cassette in the rear of the drivetrain. While there's no simple answer to which will be best for you, there are a few questions that you can ask yourself when selecting gearing for your mountain bike to help you make the best decision possible. Ask yourself these seven important questions to compare which gear ratio you should choose the next time you're in the market for a new drivetrain. Do you value simplicity and weight savings? When riders make the switch to 1x11 gearing, one of the things they enjoy most is the simplicity. Since the front derailleur is eliminated, there's no need for a shifter on the left side of the handlebar. You also won't need a front derailleur and you'll have one less chainring, which will make your bike considerably lighter. The lack of shifting from big ring to small ring will also eliminate the chance that you'll drop your chain, which will make your overall experience on the bike much less technical. Benefits to 1x11 gearing: Reduced weight, a simpler mechanical system and a lower chance of mechanical issues. How strong of a rider are you? The choice of 1x11 works well for strong cyclists that enjoy rides or races with longer climbs with limited roads (fire, dirt and asphalt.) These rides generally have technical singletrack descents that don't require a lot of pedaling. Benefits: Strong riders can find a gear combination, front and rear, that will for allow a good cadence on long hills that are too steep. Do you like long, steep climbs or do ride often at altitude? If you ride long climbs (particularly at altitudes of more than 9,000 feet) with no fire roads or asphalt, 1x11 may be an option if you are a strong rider. However, if you like long rides that include climbs at altitude or steep sections along with descents that include fire, dirt and asphalt road sections, 1x11 gearing will give you less options climbing and descending. If you're concerned with optimizing performance and don't want to give up gears on the climbs or descents, then 2x10 is likely the better choice for you. Benefit of 2x10 gearing on long climbs: Many cyclists want lower granny gears for long climbs, particularly when training and racing at altitude. Since the amount of oxygen is reduced, riders find that an easier gear combination accommodates the ability to produce power for longer periods of time without tiring as quickly. This issue becomes more of a consideration when riding longer distances too. What are the gear-inch comparisons? Using a gear-inch chart is one way to compare gear ratios without riding the bike. Here's a simple way to think about gear-inch combinations: For one revolution of the pedal, your bike will travel a certain number of inches. Know that this value does depend on wheel size. To keep things simple, let's look at just 29ers.